Inspired by the comments on this post at Shelf Love (which refers to this post at Alex in Leeds) I created a Short Fiction Jar. I filled little slips of paper with the names of all the stories I've always wanted to read but never have. 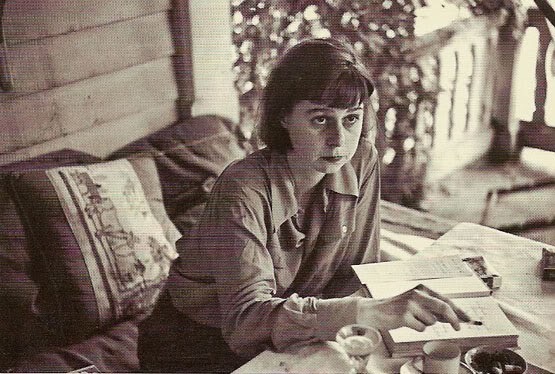 I enjoyed my introduction to Carson McCullers' writing. She captured the emotions of the characters in "Sojourner" in some mysterious and magical manner - the story is conveyed somehow between the actual words. I came to this book with very low expectations, and was pleasantly surprised. It's funny how that happens, isn't it? 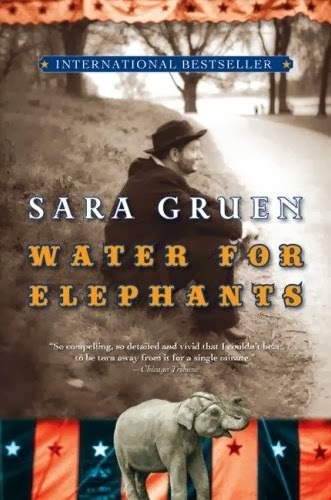 A love story set in a Depression-era American circus, the story is intertwined with the life of the protagonist as an old man infirm, confused, unloved and neglected in a nursing home. I watched the film before reading the book - a sequence I almost always avoid, but it didn't seem to matter in this case: I wasn't all that concerned about ruining my enjoyment of the novel. There were a few faltering moments when the dialogue failed to ring true (the use of words like "mercurial" and "vernacular" by uneducated and unsophisticated characters), but I did enjoy the author's ability to fully render a scene. The smell of sweat and animal waste and hay seemed to fill my nose as I read. I wouldn't highly recommend it, but it was an enjoyable reminder of my childhood visits to travelling circuses. What a talent! This is the story of Baby, a twelve-year old girl living with her heroin-addicted father in downtown Montreal. If I had to find a comparison, it would be Angela's Ashes by Frank McCourt for the gritty, poverty-hobbled story told through the eyes of a child who knows no other life and finds joy amongst the devastation of addiction and violence. Normally, I stay well clear of grit and addiction and violence in my reading, but this is actually a surprisingly uplifting story of resilience and hope and inspiration that gently breaks your heart at the same time. Also, bonus points for Heather O'Neill's clever inversion of Northrop Frye's theme of the "garrison mentality." 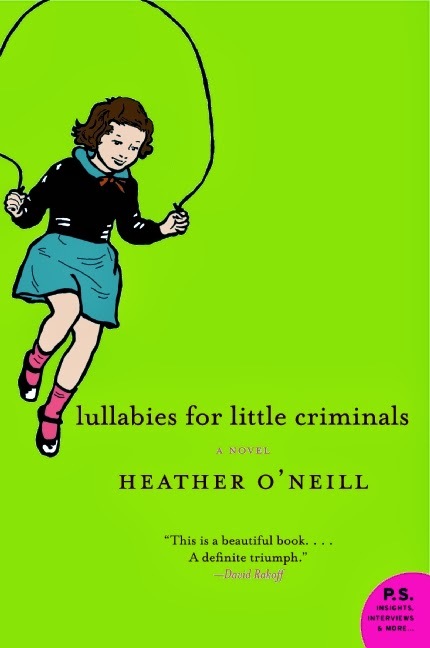 This was a fun little palate-cleanser after the emotional intensity of Lullabies. One of my all-time favourites as a child, I must have read this story repeatedly for although I probably last read it when I was about twelve I remembered every plot twist, setting, and character quirk. 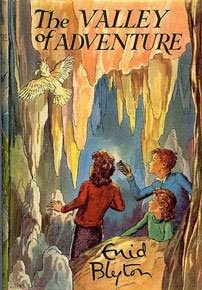 The Adventure series features four children and their pet parrot who, in typical Blyton style, end up in exotic locations uncovering international thieves and criminal masterminds. On the island the children live in a cave (fostering years of dreams of cave-dwelling for me! ): they deftly round up a posse of men profiting from the spoils of war. What I hadn't remembered, or perhaps not noticed, was that the publication date of 1947 would have made the events of the second world war quite close to the original readers. A fun adventure! First wave feminist Nellie McClung (1873-1951) fought her whole life for the disenfranchised and those lacking power of all forms in Canada. She lived a life dedicated to public service; she was an author, a public speaker, an activist, and an Alberta MLA. A campaigner in the temperance movement, and one of The Famous Five who worked on the "Persons Case" to have women included in the definition of a "person," making it possible for women to serve as senators. She was the subject of this Heritage Minute. Written by professor and eminent historian/biographer Charlotte Gray, this book is part of the Extraordinary Canadians series. 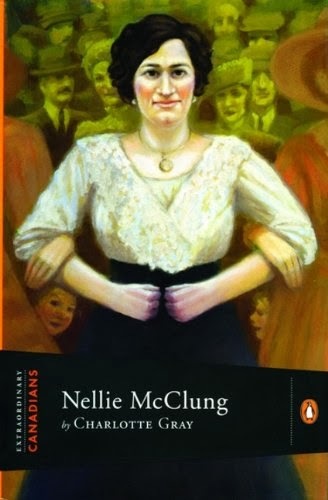 I found the narrative well written and very readable, and it makes me very keen to read Nellie McClung's own work of fiction and memoir. I *love* The Valley of Adventure - I think it's my favourite of the whole series (which OH very kindly got me a set of at Christmas time). I want to read them in order, so I think I'll have to get my skates on to get to this one!! What a super Christmas gift! I would love to read through the whole series again. I seem to have forgotten a lot of the details of the other books. I must have read them less obsessively! An eclectic as well as an appealing bunch of books! Nellie McClung sounds like a great biography. The "Persons Case" is shocking to our modest sensibilities. All the more so in that it occurred in a time that does not seem all that long ago. I do seem to flit around some months more than others! I've been keen to read about Nellie McClung since my Grandmother (age 96) told me that her mother had served on committees in Winnipeg with her. She remembered Nellie McClung visiting their house. I was glad to read this biography to fill in my sketchy knowledge of her life. Funny, I went into Water for Elephants with very high expectations (all the hype) and ended up being disappointed. I did enjoy it though, and in the end probably walked away with the same feelings you had about it. I love the short fiction jar idea! Thanks for your comment, Cecilia. I do find it fascinating how preconceived expectations can affect the reading experience. I've been trying to be more aware of that as I approach new books, and it's lead to some really interesting discussions with the girls about how different books serve different purposes and speak to us in different ways at different times. I had a similiar ho-hum approach to reading it, but I absolutely loved it. In fact, so much so that I immediately rushed out to get the duet of books she had written earlier , even though they really did not sound like "my thing" at all. (I liked them alright, but they were not WfE and I really did just want that again, especially *whispers* the ending).